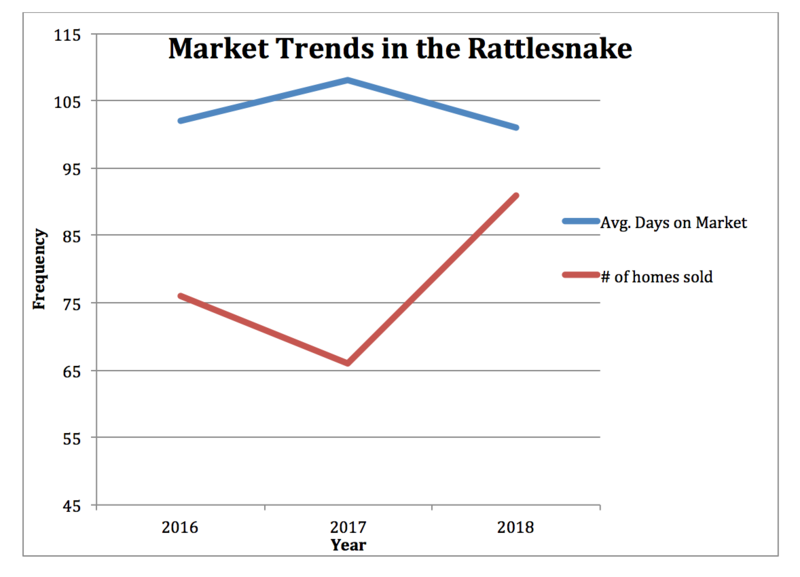 The Rattlesnake Neighborhood continues to experience strong buyer demand. 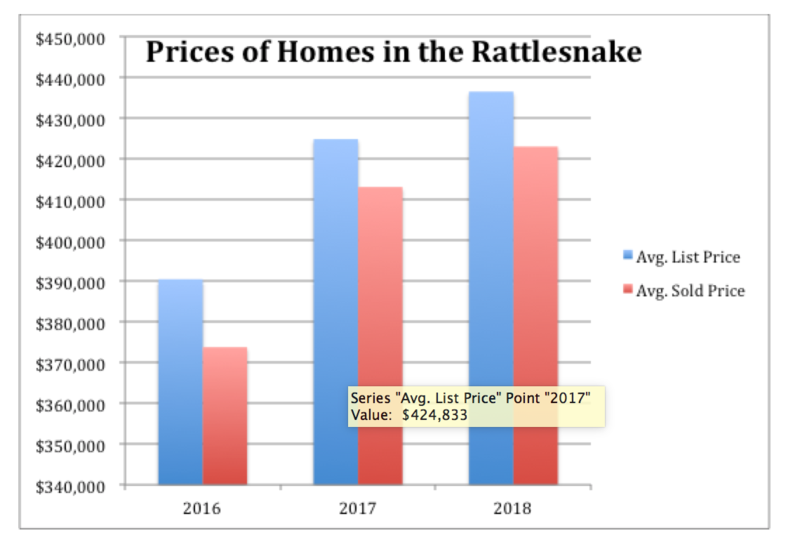 Surrounded by wilderness areas, hiking and biking trails, and featuring a strong elementary school its not surprising sales prices continue to climb. A tight inventory and a lack of development continue to put upward pressure on prices. The average sales price in the neighborhood climbed to $424,245 in 2018.